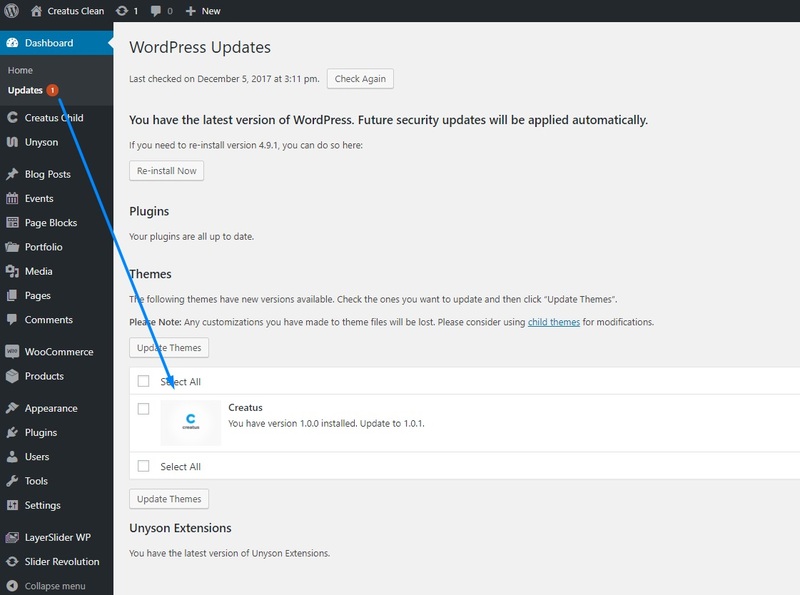 Creatus WordPress Theme is using WordPress update utility to notify you of updates. If you see the update simply select the Creatus theme from themes for update list and click on Update Themes button. After the update theme might notify you if there are any theme required plugins updates. Once you see the notice simply follow the link and update required plugins. If you have any issues with this procedure follow FTP update instructions. To gain access to your server you will need FTP credentials. If you do not have these please contact your hosting provider. How can I Change Theme Branding?